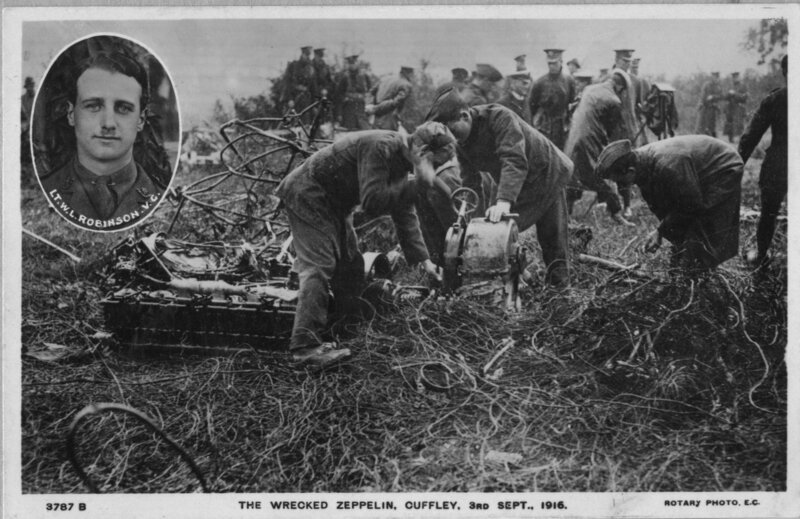 The first success against a Zeppelin takes place when a BE2c night fighter flown by Lieutenant William Leefe Robinson, flying from Suttons Farm, intercepts and shoots down the SLll, which crashes at Cuffley, Hertfordshire, killing its crew of sixteen. Leefe Robinson becomes a national hero is awarded the Victoria Cross, and in addition some £4,200 in prize money, donated by a ‘grateful public’. Lieutenant Ian Hannon (Liverpool Regiment) is killed. His two brothers have been previously killed in the Great War. Second Lieutenant Laurence Dobree Russell (Royal Flying Corps) dies of wounds at age 18. His brother will be killed next January. Sergeant Ernest Alfred Warrell (King’s Royal Rifle Corps) is killed in action at age 27. He has been a member of the Surrey Constabulary since 1912. Private Herbert Bruce (Norfolk Regiment) is killed in action in Baghdad. His brother was killed in November 1914. Twins and Privates Frank Ernest and Herbert Thomas Bindoff (Royal Sussex Regiment) are killed together at age 21. Private William Frank Cotton (West Surrey Regiment) is killed in action at age 39. His sister will die on service in 1918 serving in Queen Mary’s Army Auxiliary Corps at home.